How many times have you felt guilty and ashamed of the way you look? Eating disorders, self-image issues, low confidence, ridicule, fat-shaming, insults, and mockery are just part of the starter pack when it comes to a girl whose body type and appearance doesn’t fall into our generalized idea of ‘beautiful’. We’ve had talks going on for years now as to why the standards of beauty must change. So many celebrities are trying to be part of this movement, and yet endorsing beauty products at the same time. This hypocrisy exists because we want the change, but we cannot do it single-handedly. A change on such a grand scale requires every kind of cooperation. 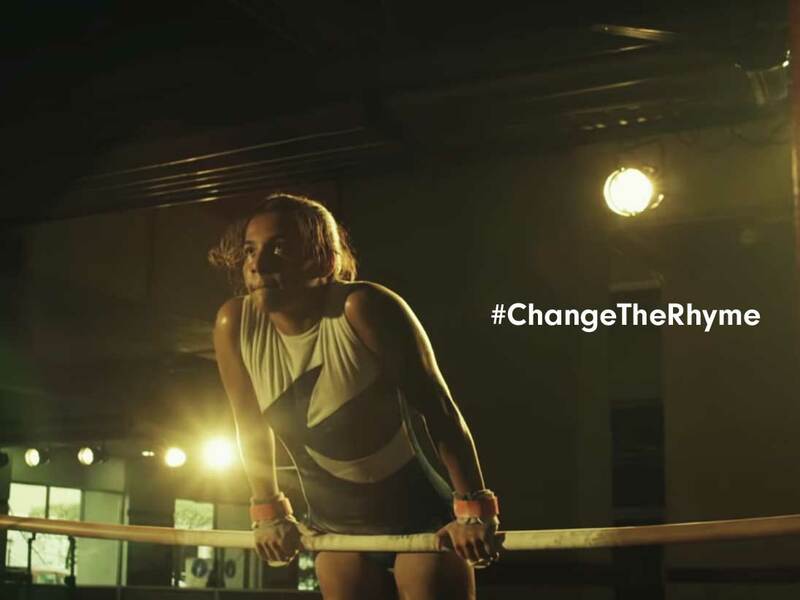 Dove’s latest ad campaign, #ChangeTheRhyme, delivers a powerful punch to society and its unrealistic and ridiculous expectations of beauty. We love how strong the message is: the video focuses on girls taking part in activities that are deemed to be reserved for the opposite gender, like archery, gymnastics, and discus throw. But what really serves as a slap in the face is the audio, where little children in school are reciting the nursery rhyme “chubby cheeks, dimple chin, rosy lips, teeth within, curly hair, very fair, eyes are blue, lovely too,” reminding us that our current understanding of what fits into our parameters of beauty are taught at such a young age. There’s an obvious pick-up in speed, rising in crescendo. It ends with the poem’s finale, “Is that you?” and a girl looks straight into the camera and asserts, “No.” We had goose bumps on our arms by then. In an age where diversity in appearance needs to be accepted and not discriminated against, people’s perspectives require a drastic change. The fact that a skin and hair care product company is taking such a stand on beauty standards makes us want to cheer them on, and just hope that the ad succeeds in fulfilling its purpose.